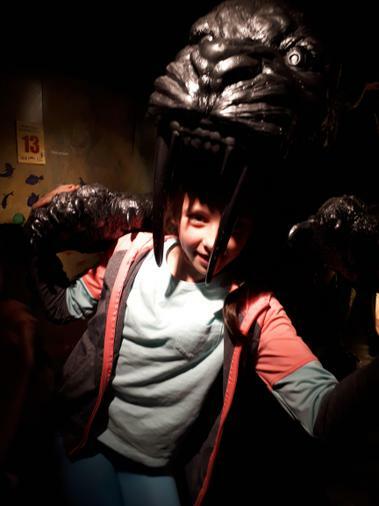 Another beautiful night of uninterrupted sleep. 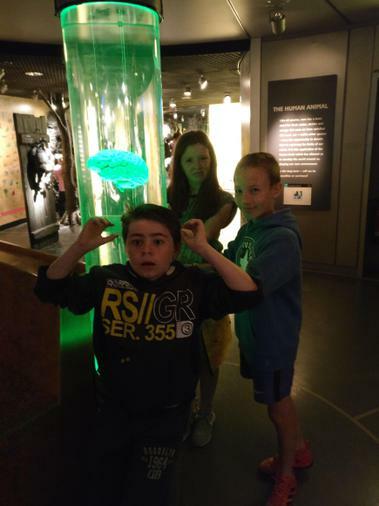 These kiddies are great between the hours of 10:30pm and 7:00am! 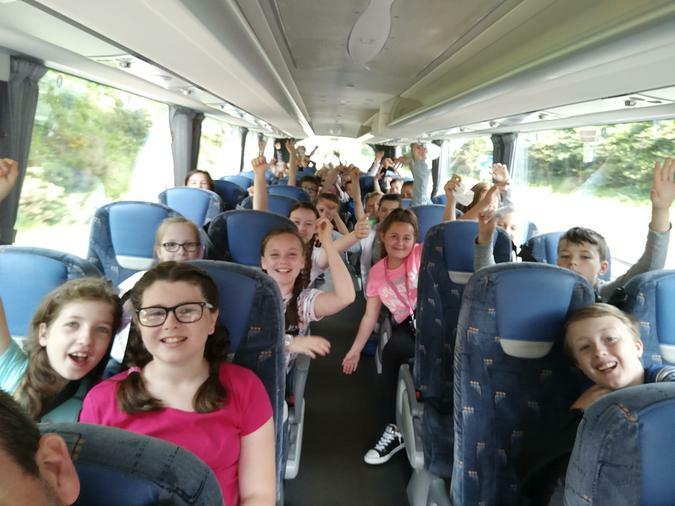 After breakfast some of the children asked to go to LIDL. 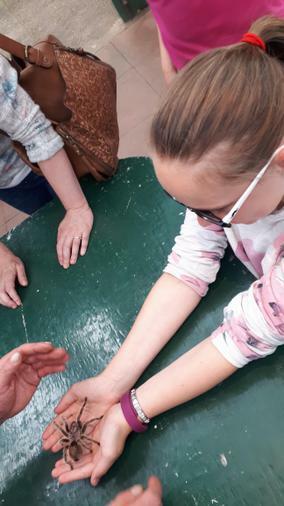 It was just across the road from the hotel so we took a group who quickly raided the donut and chocolate cookie baskets. 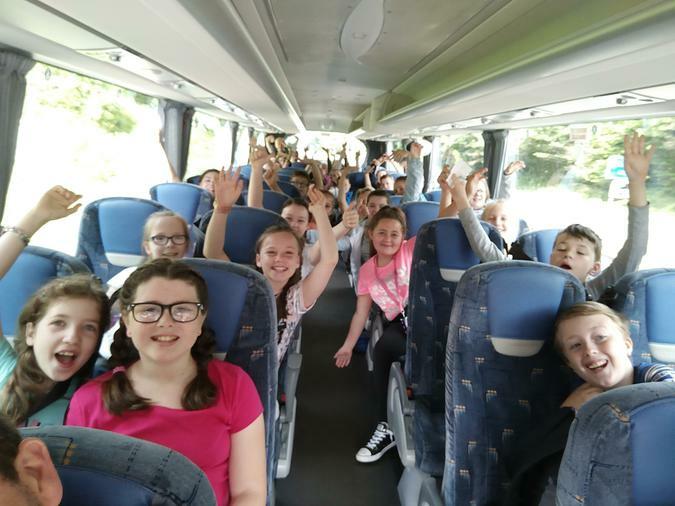 At 9:00am we set off for Dynamic Earth. 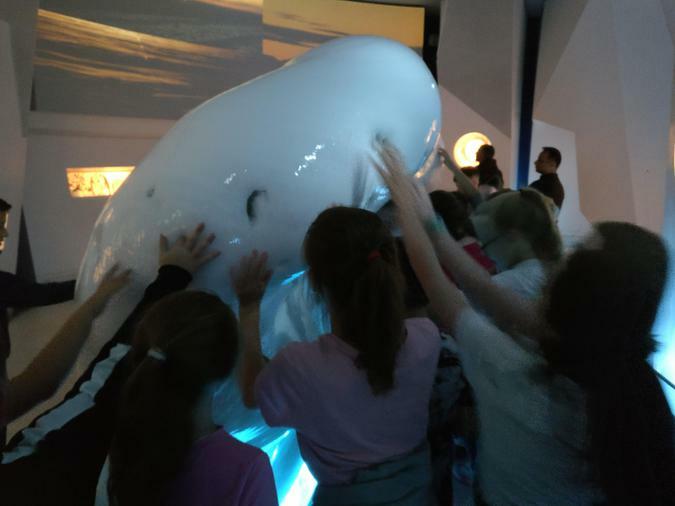 Once again the children were really excited. 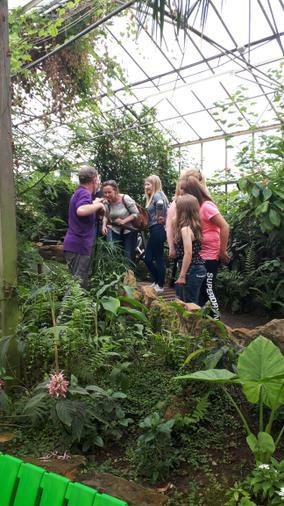 On arrival we were greeted by the staff who split us into two groups. 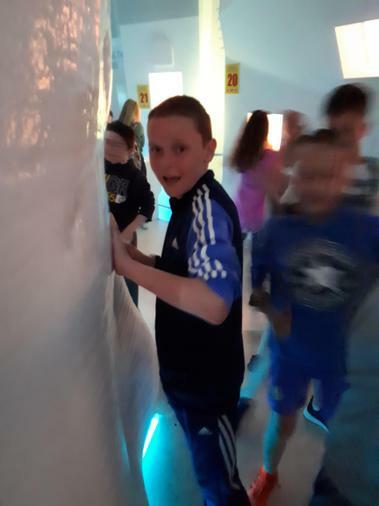 The boys set off first taking the “time machine” to discover some of the history of our world. 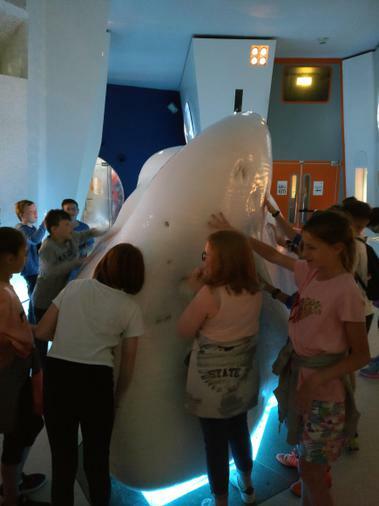 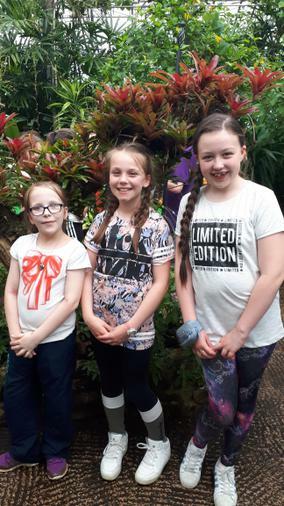 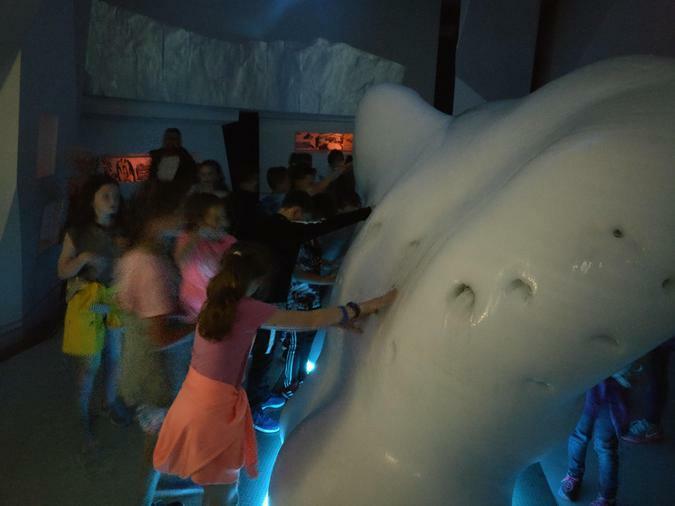 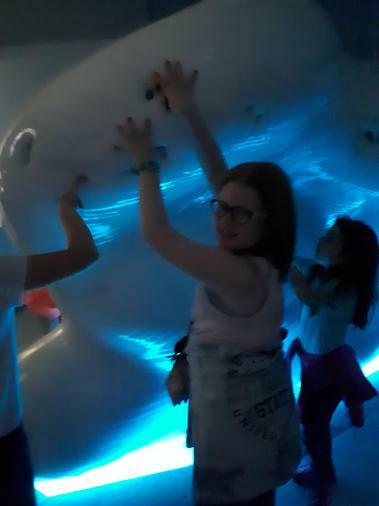 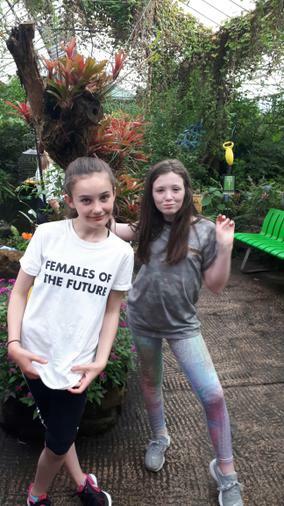 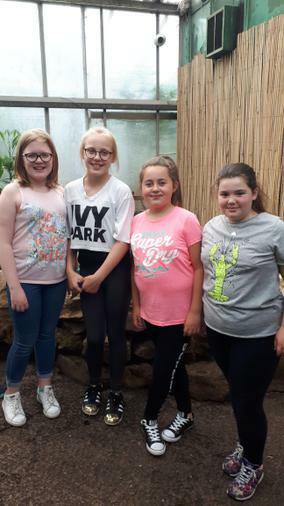 The girls group quickly caught up and together we enjoyed the ice berg, 3D biome ride and the Rainforest show. 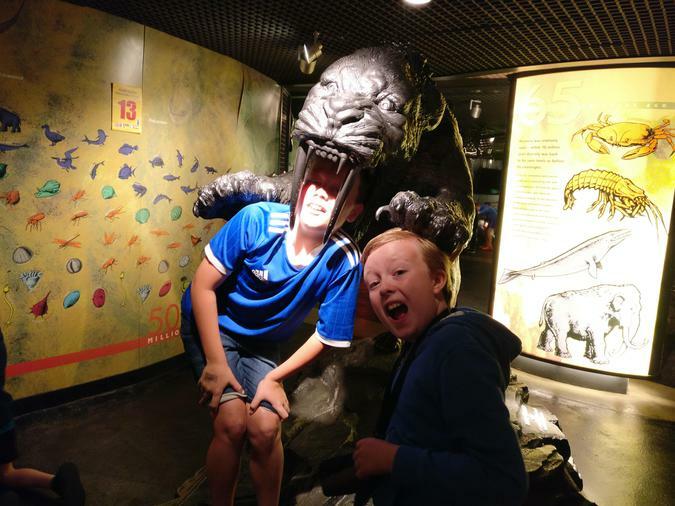 Finally, we explored the museum shop adding to the plethora of pencils, rubbers, stretchy men and furry toys we have been collecting on the trip. 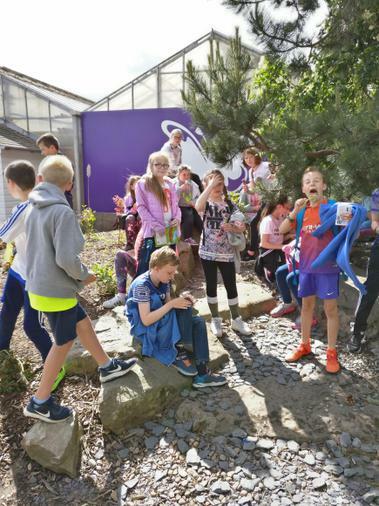 As we left we passed by the front of the Scottish Parliament and witnessed a small demonstration in response to the walk out in Parliament yesterday. 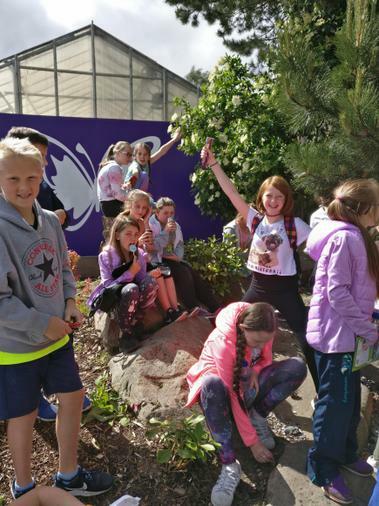 We drove on to Butterfly and Insect World and had a picnic on the grassy area outside. 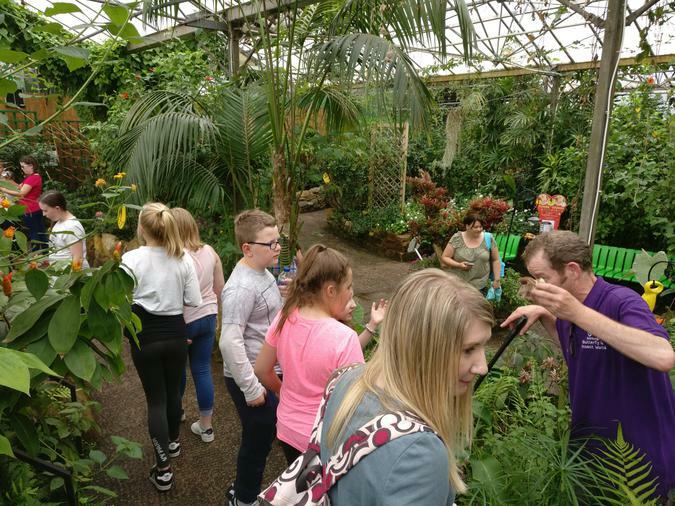 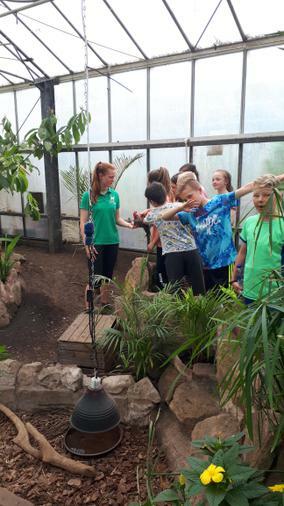 Then with our two guides, Kev and Anya we went into the Tropical zone. 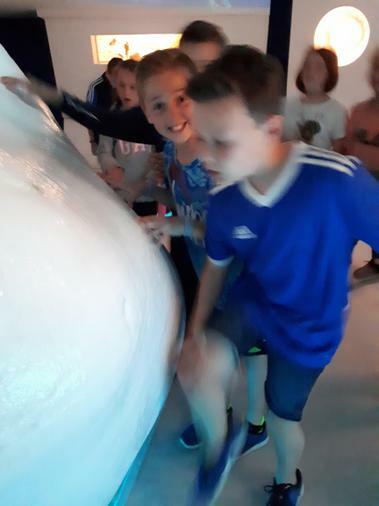 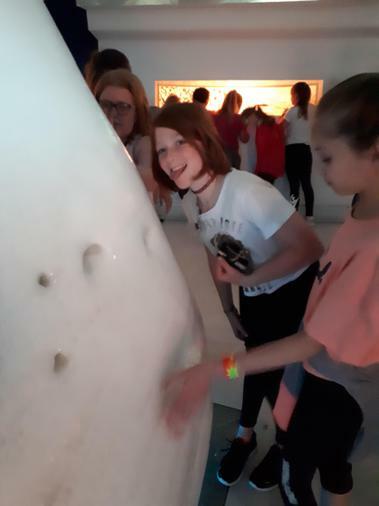 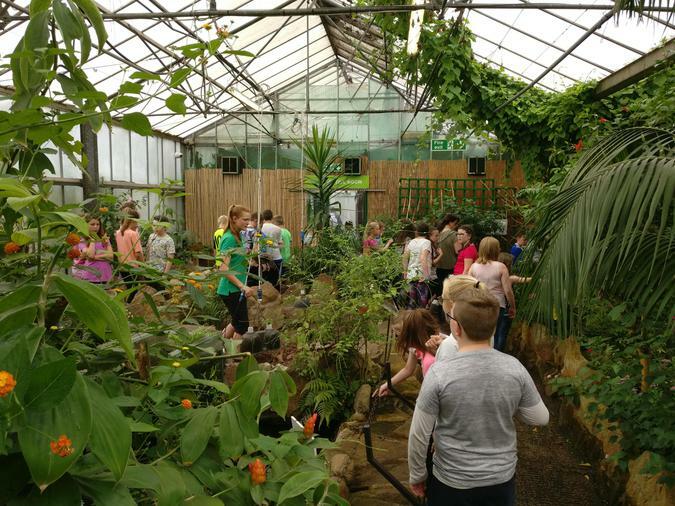 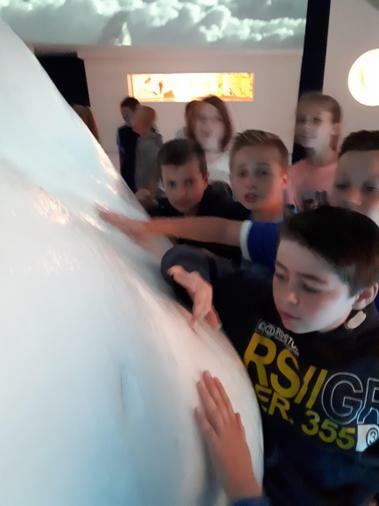 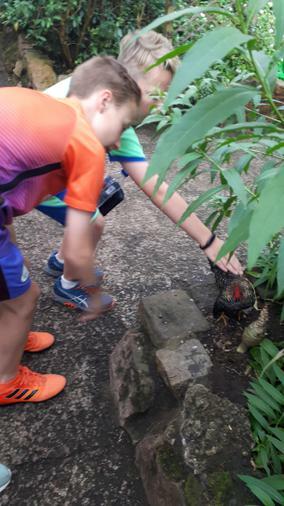 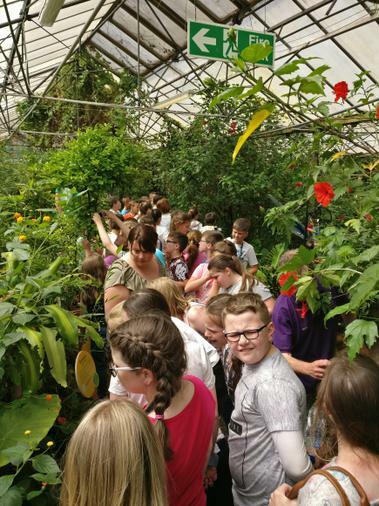 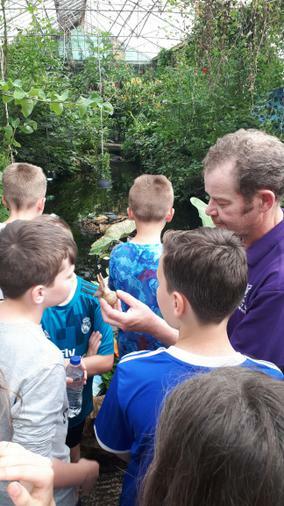 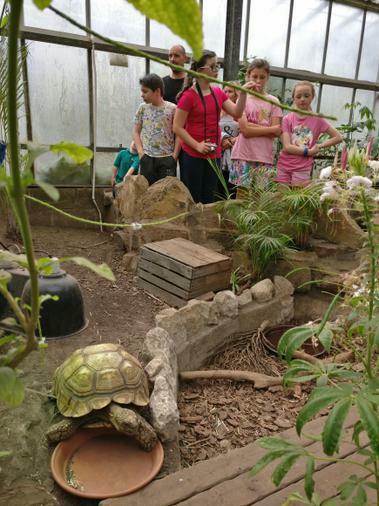 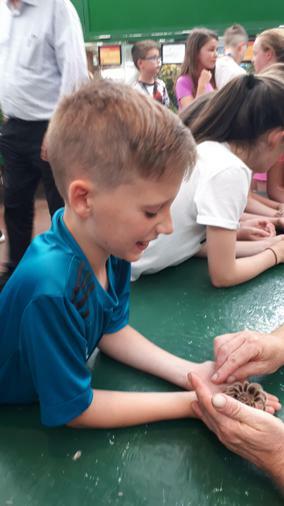 The children were amazed with the range of creatures which included, small birds, fish, butterflies, turtles, tortoises, snails and rows upon rows of cocoons. 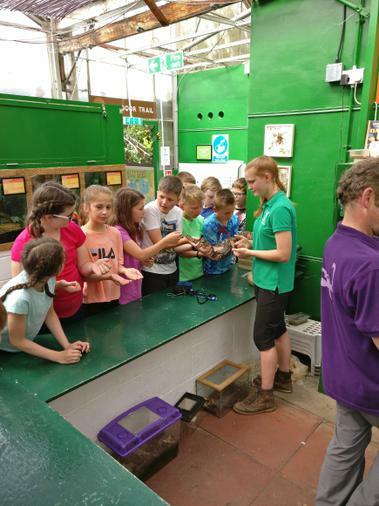 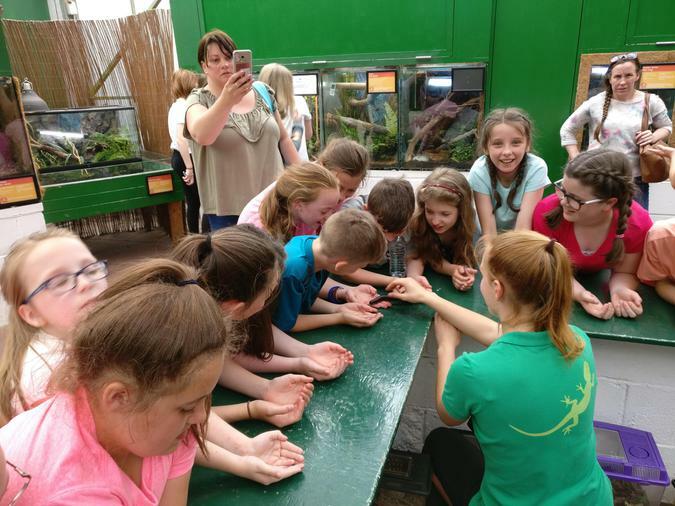 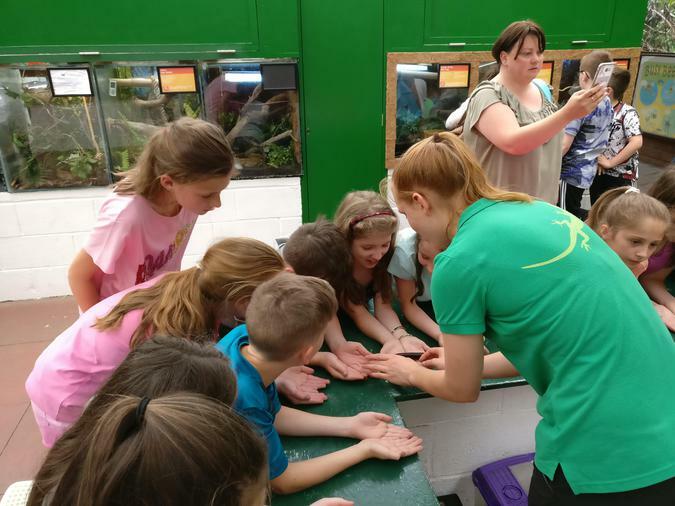 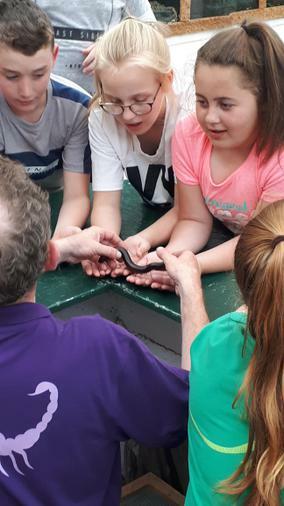 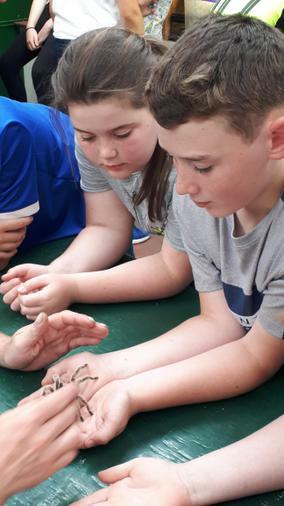 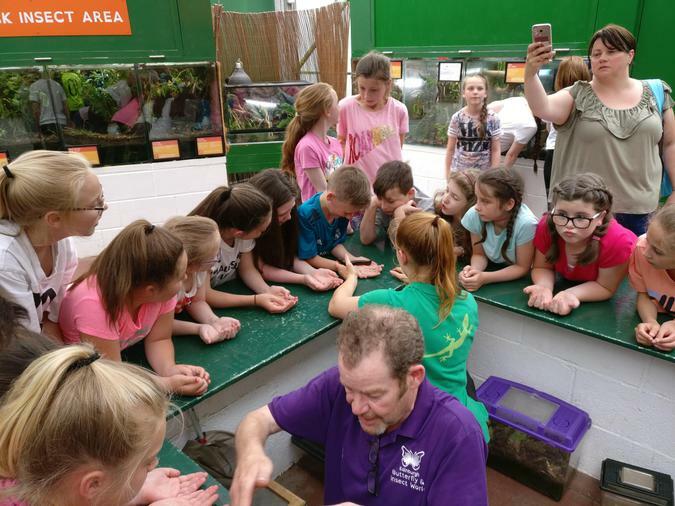 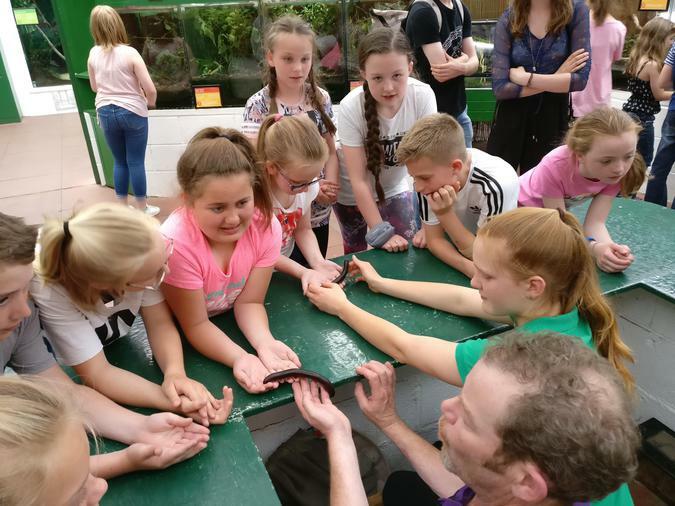 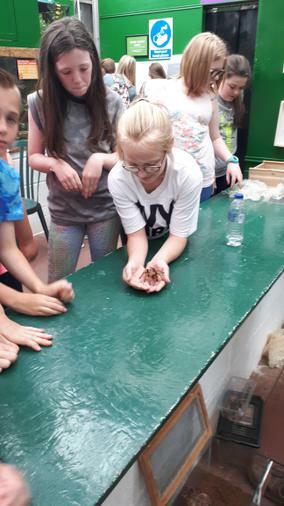 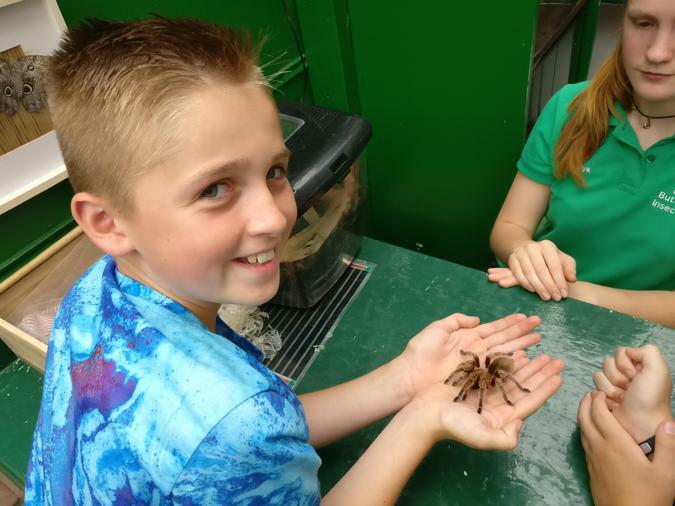 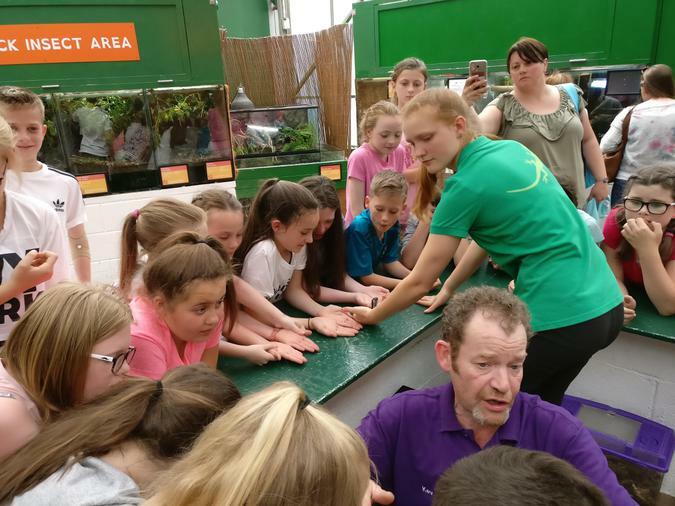 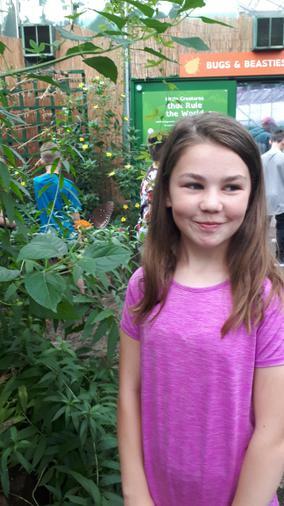 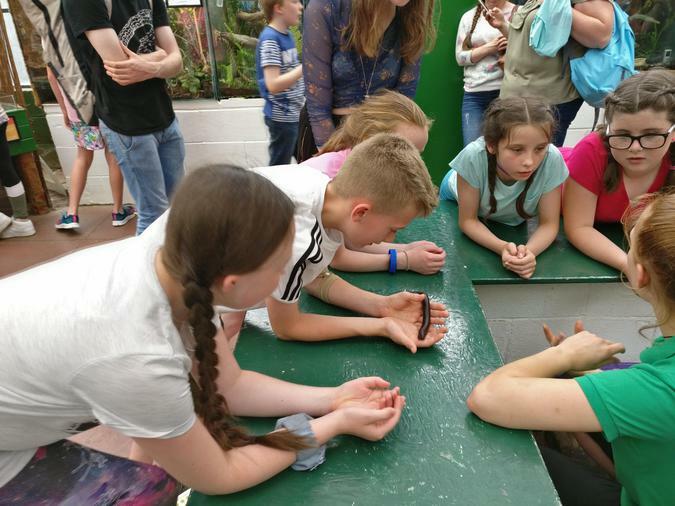 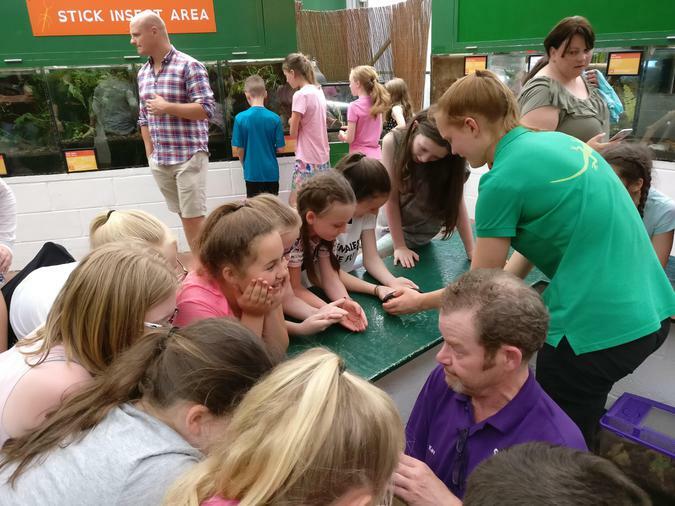 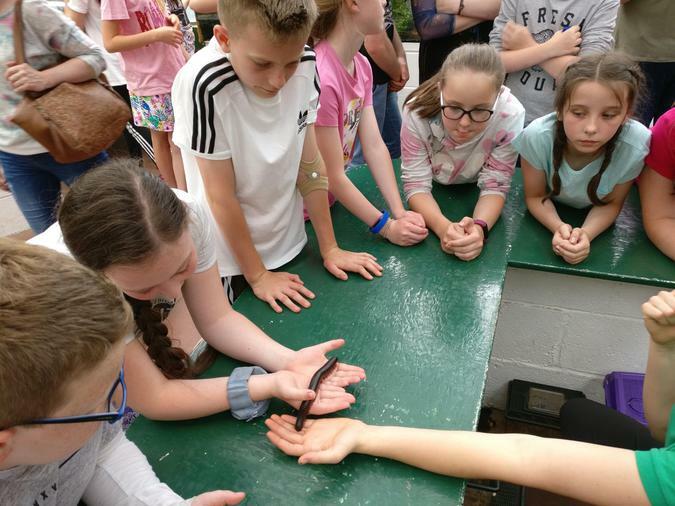 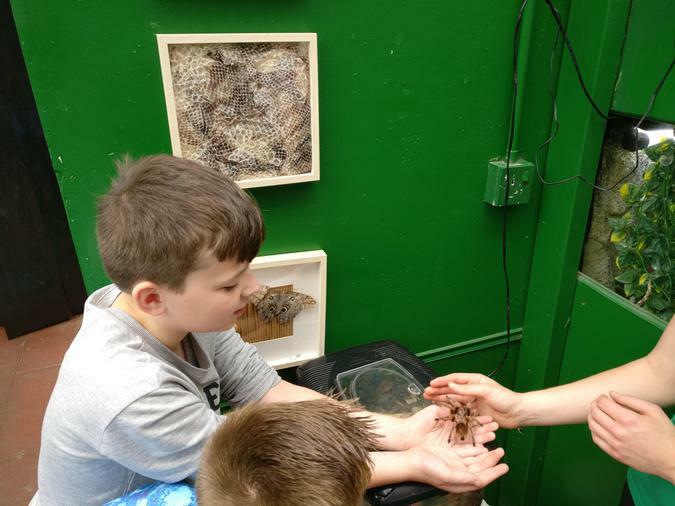 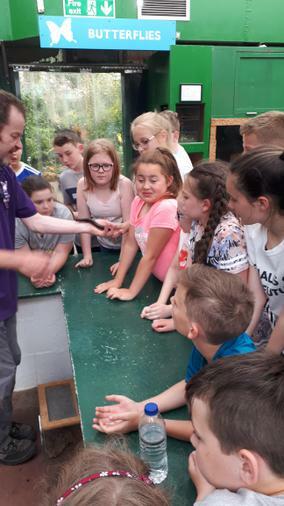 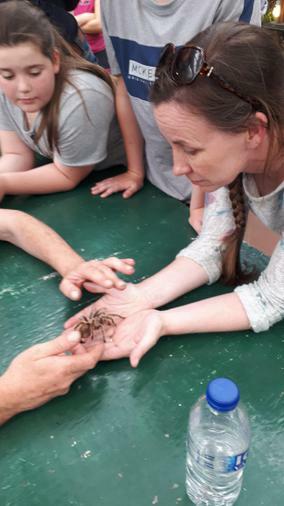 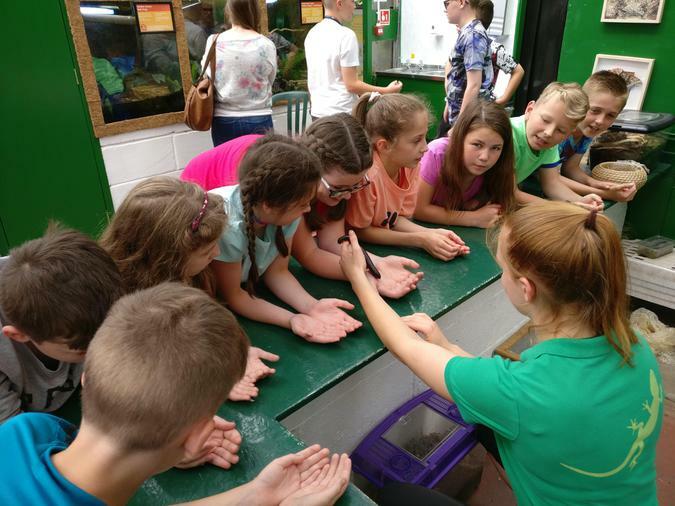 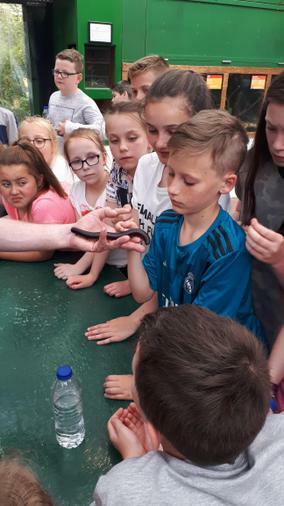 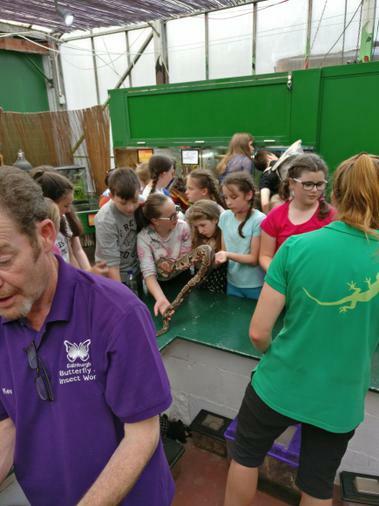 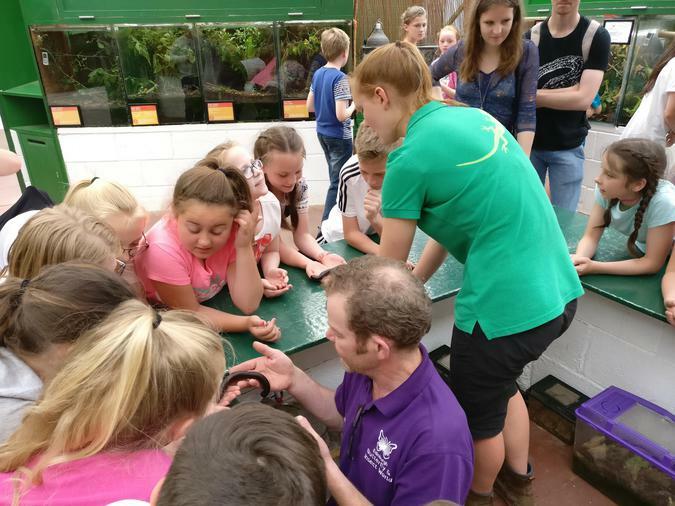 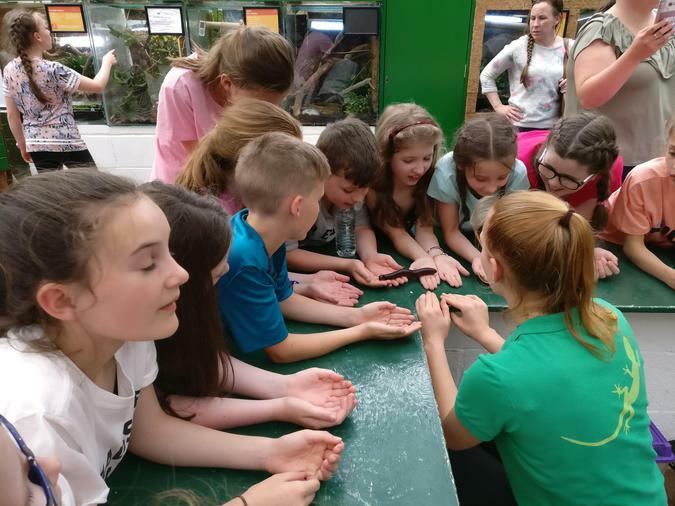 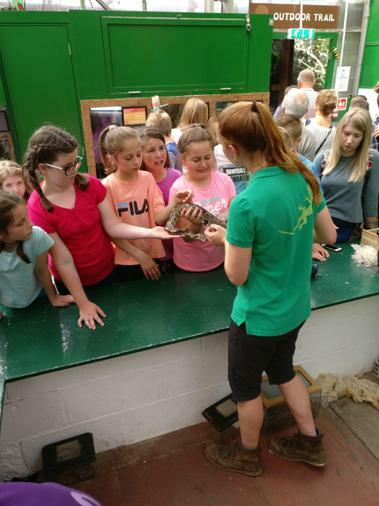 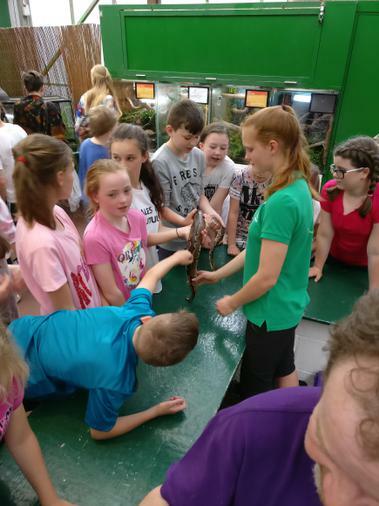 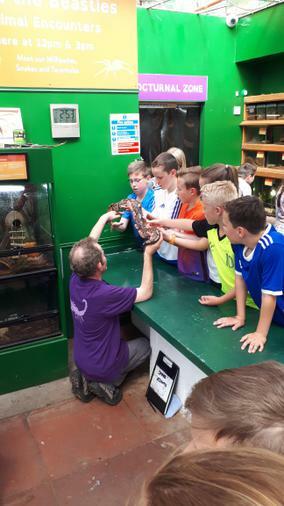 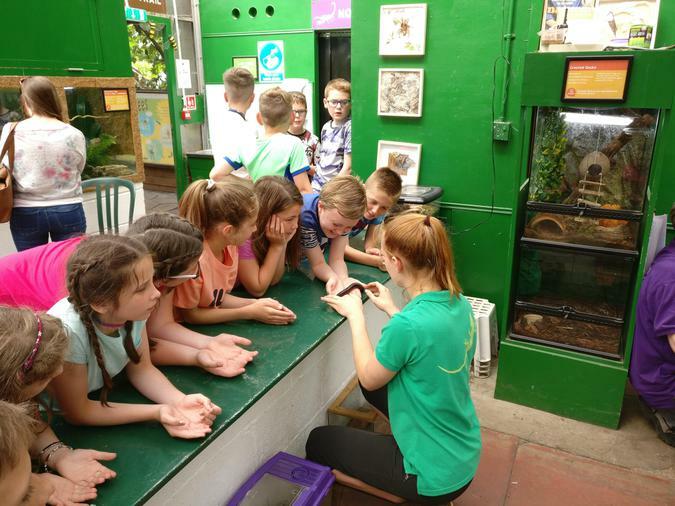 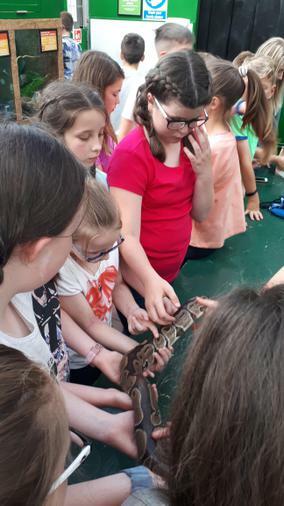 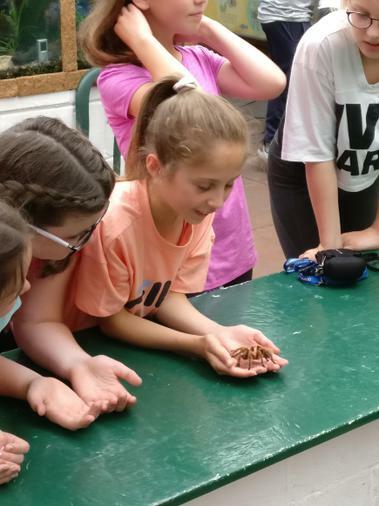 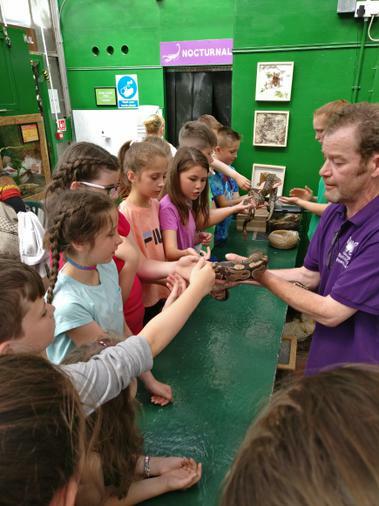 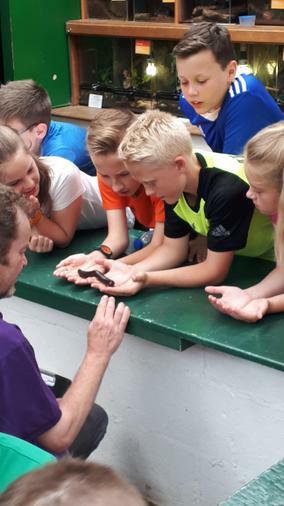 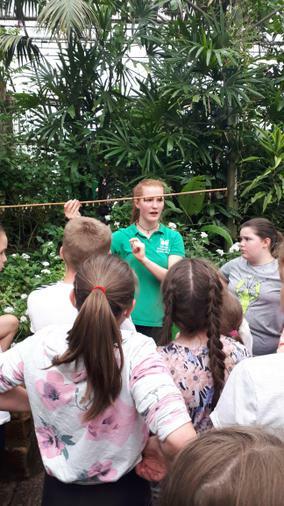 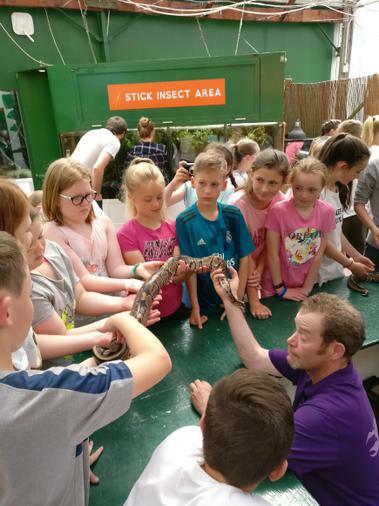 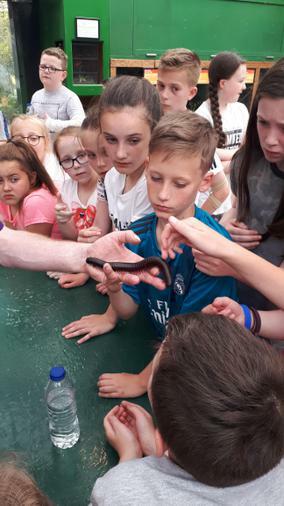 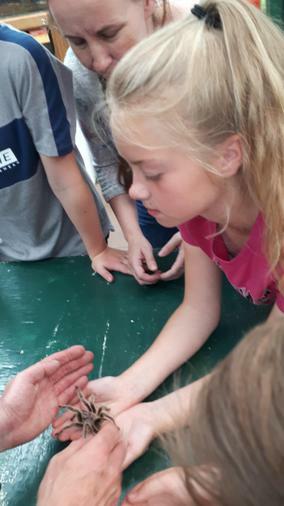 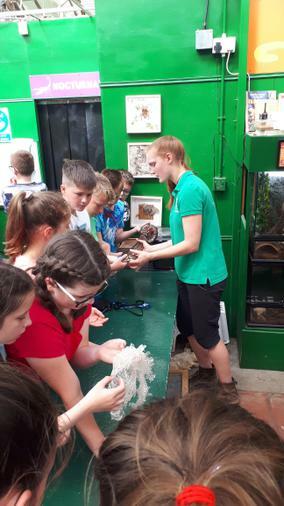 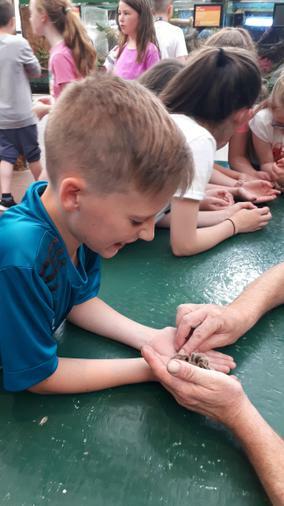 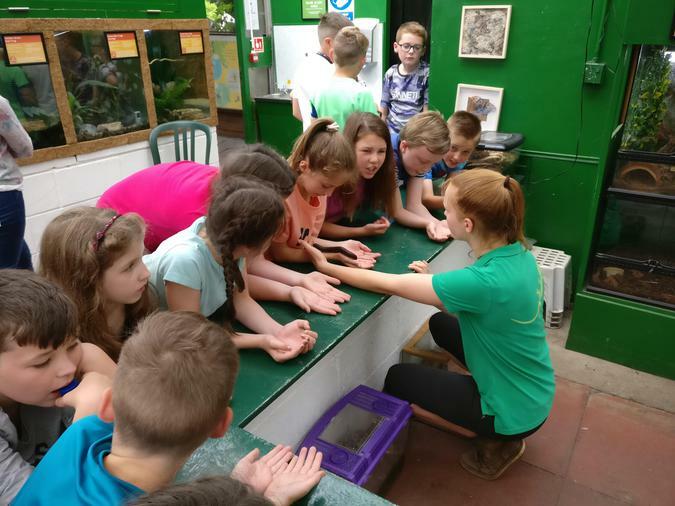 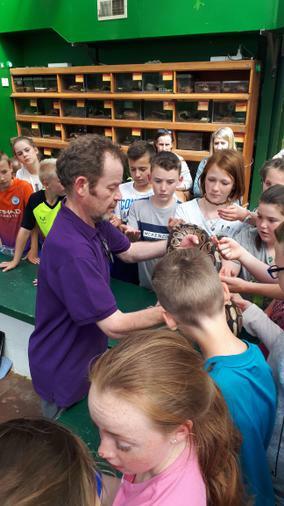 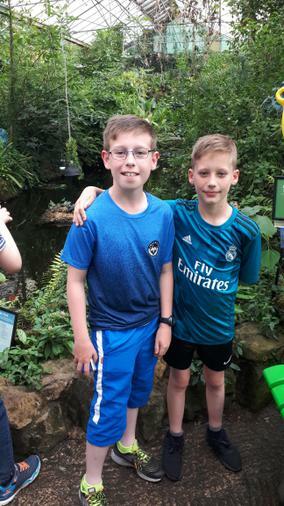 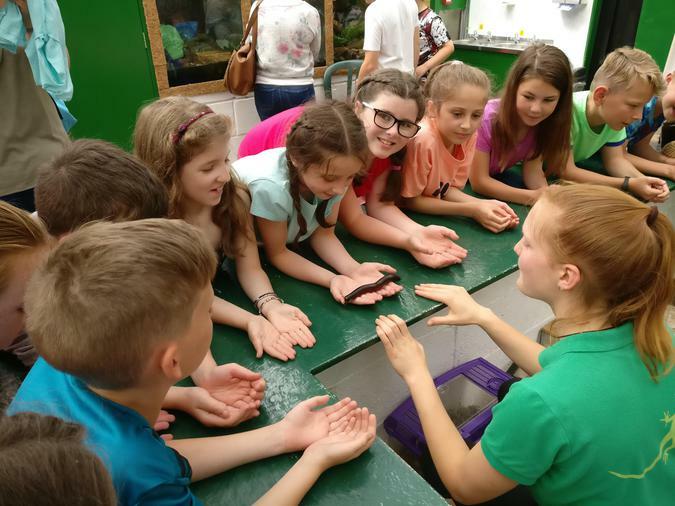 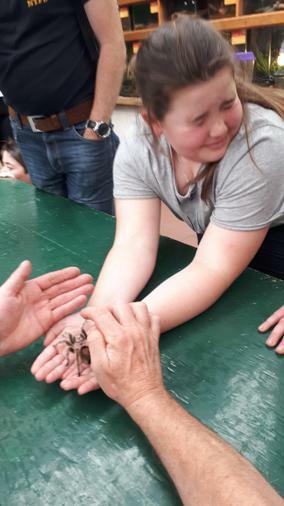 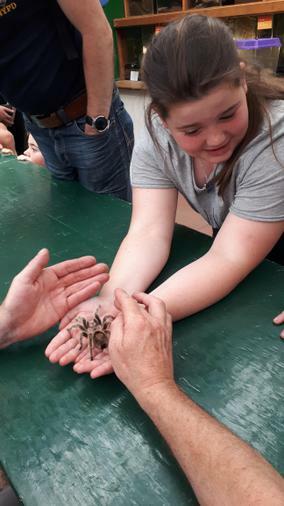 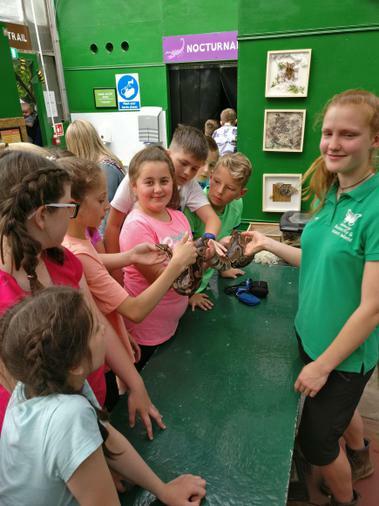 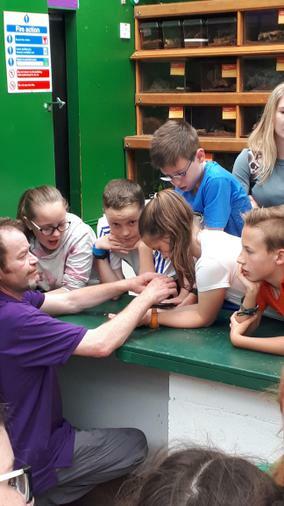 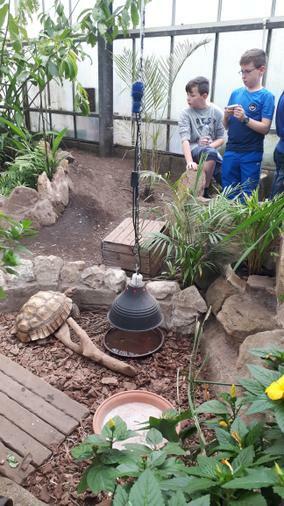 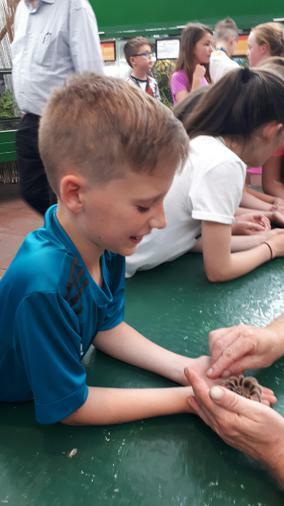 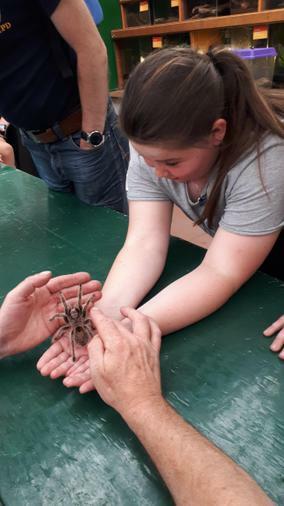 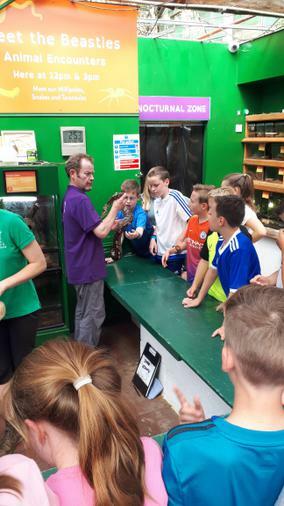 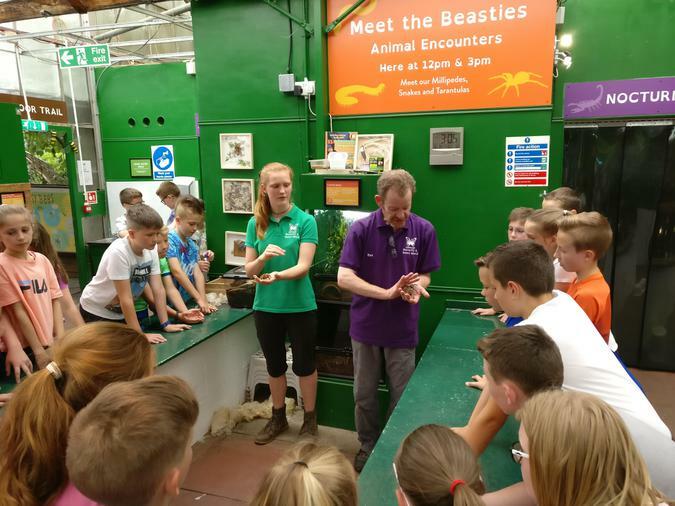 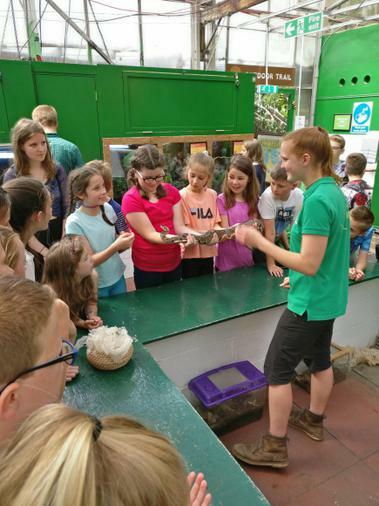 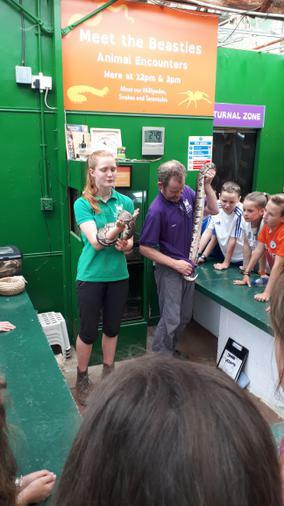 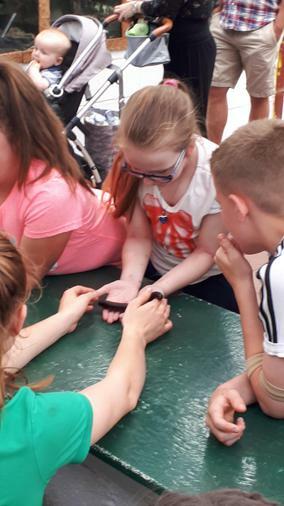 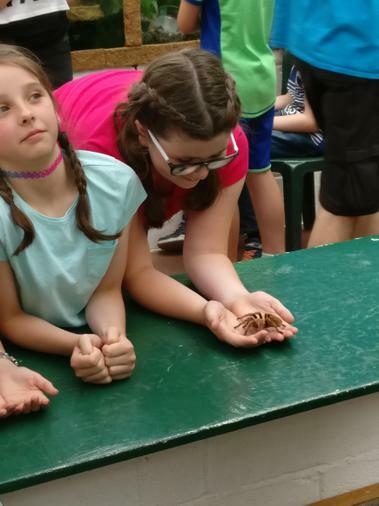 After we had spent a significant amount of time wandering the paths we were called into the Demonstration area where we got to hold a millipede, royal python and a tarantula. 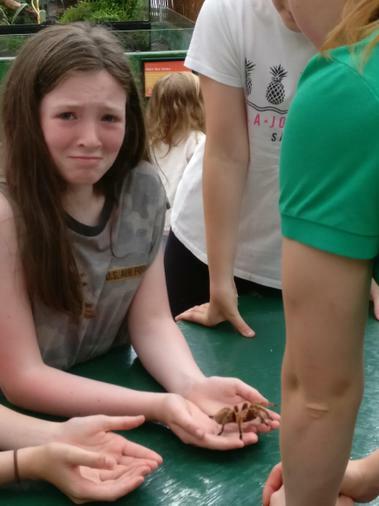 We also got to see scorpions, cockroaches, a few lizards and lots of exotic snakes. 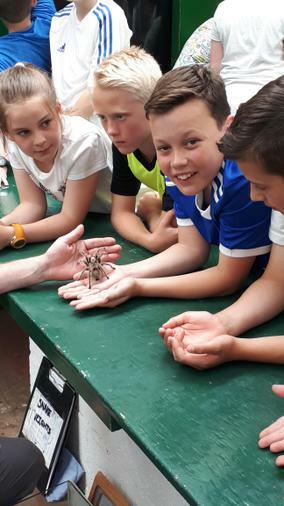 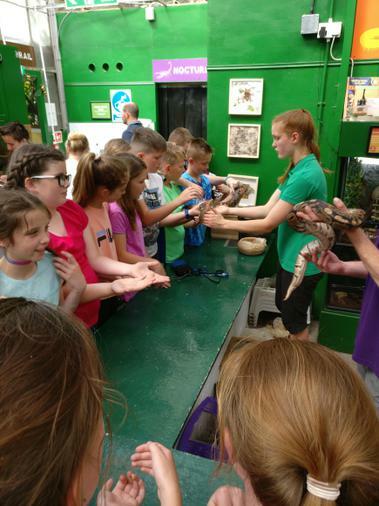 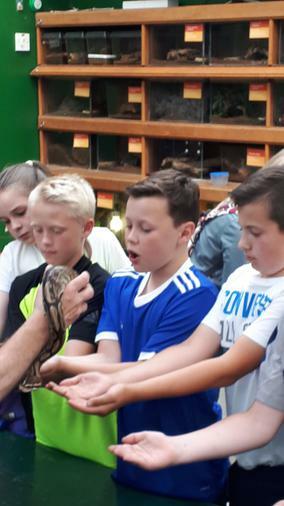 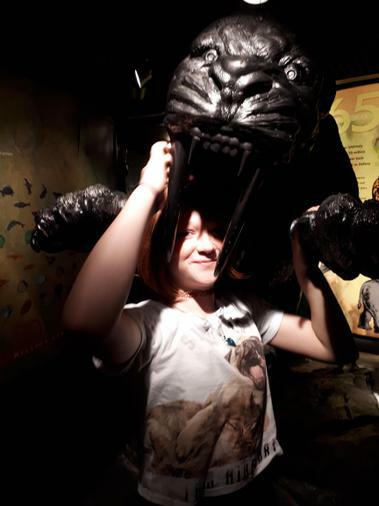 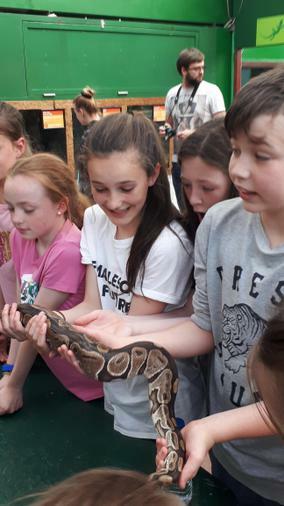 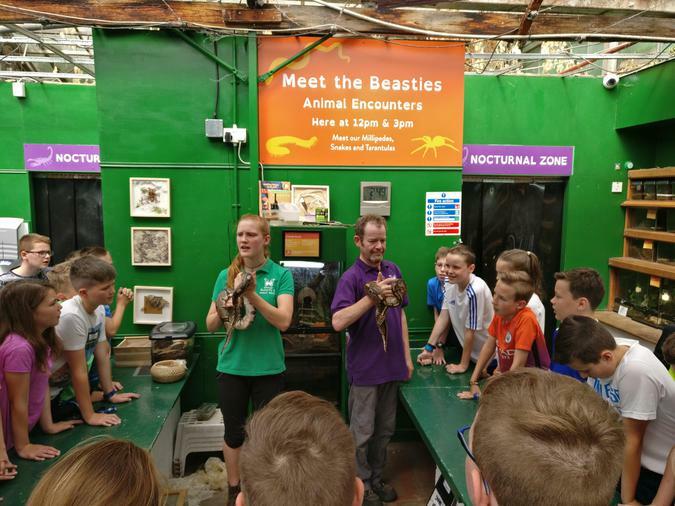 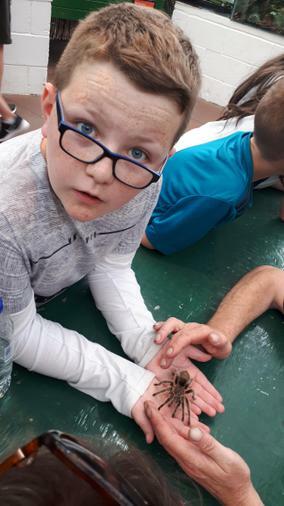 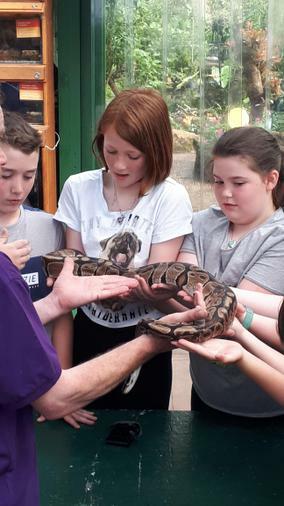 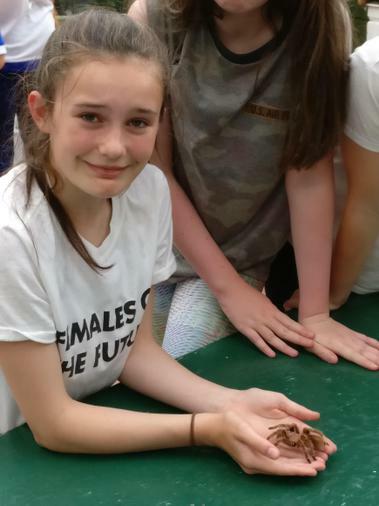 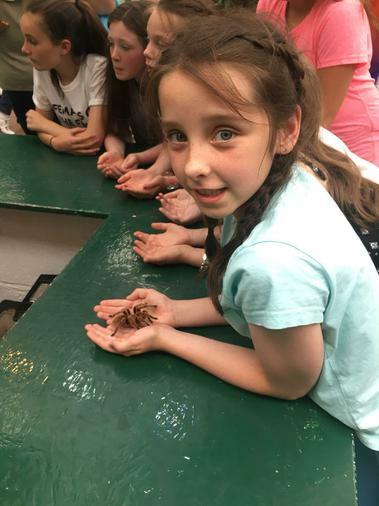 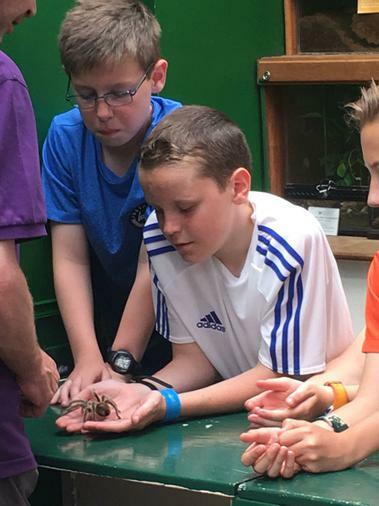 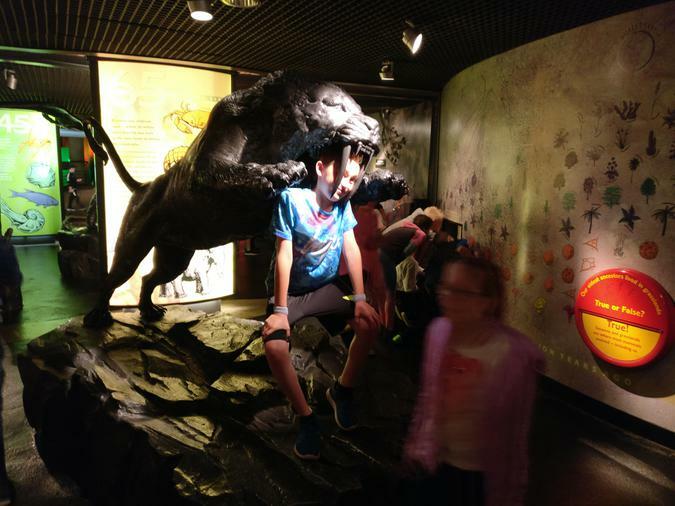 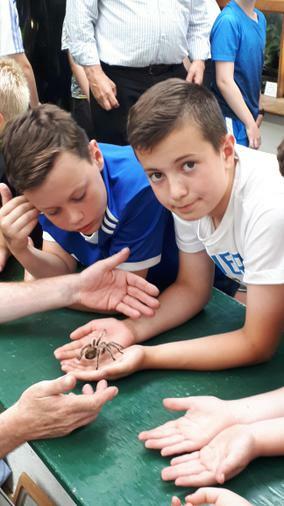 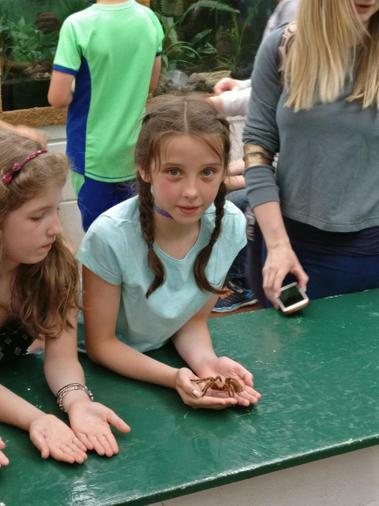 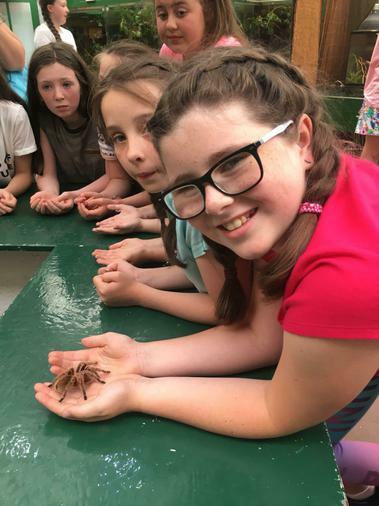 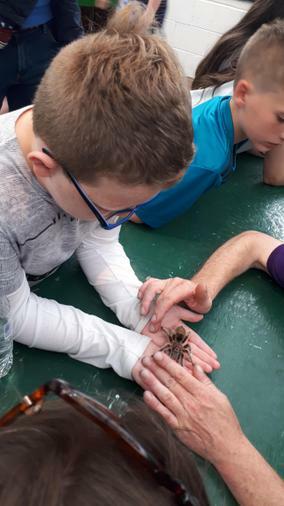 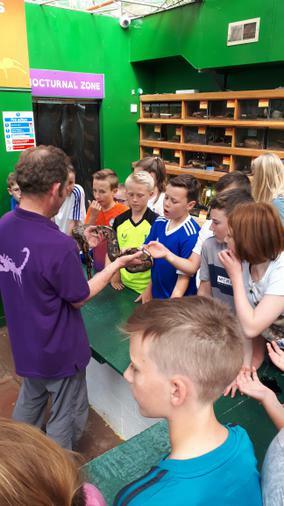 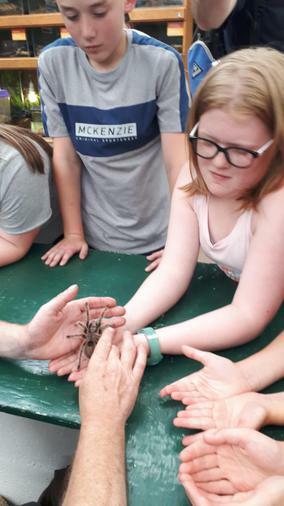 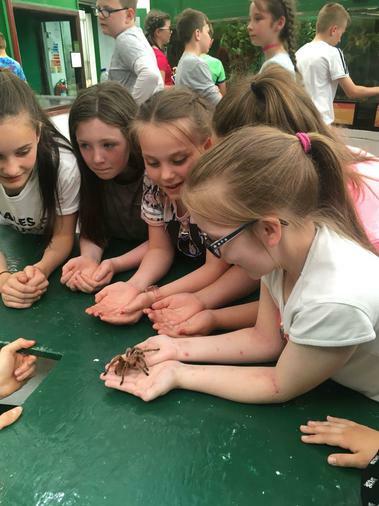 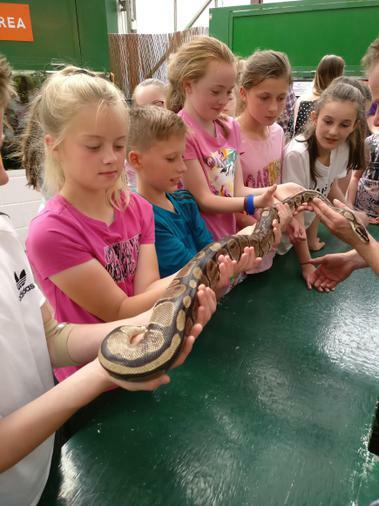 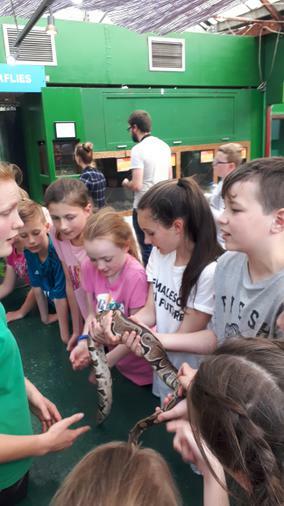 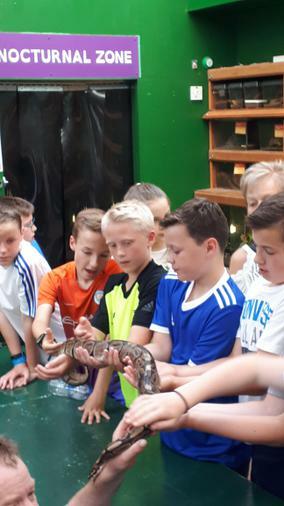 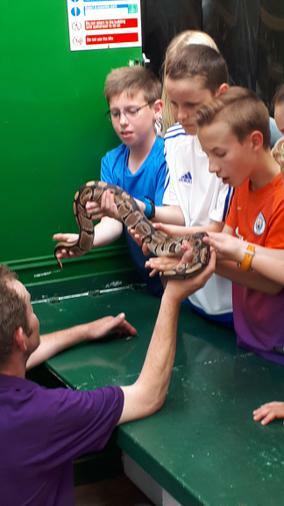 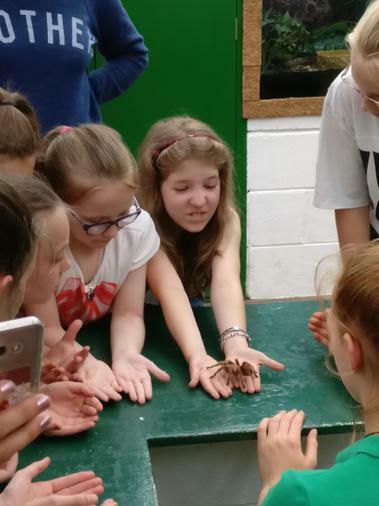 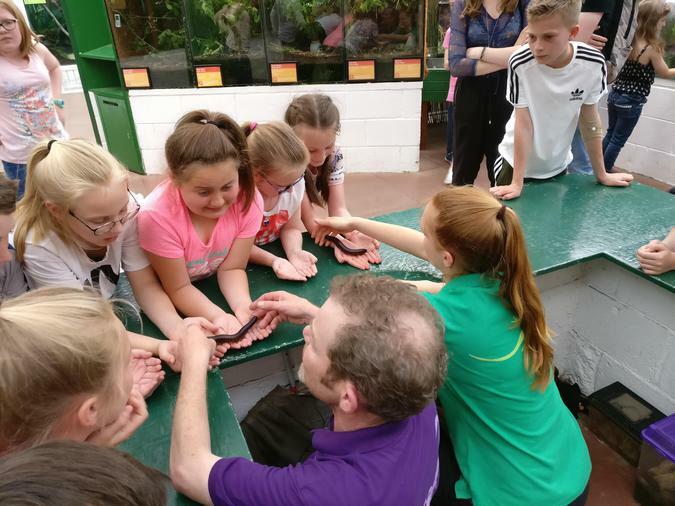 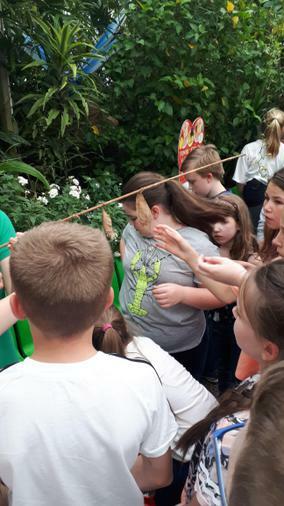 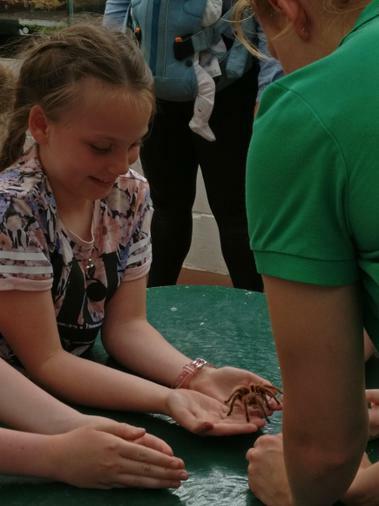 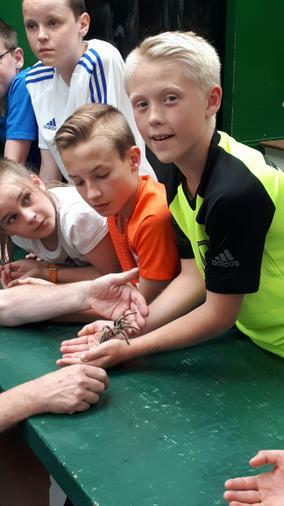 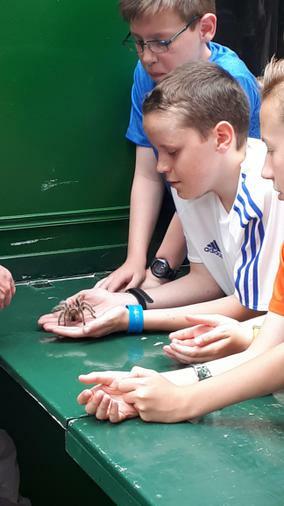 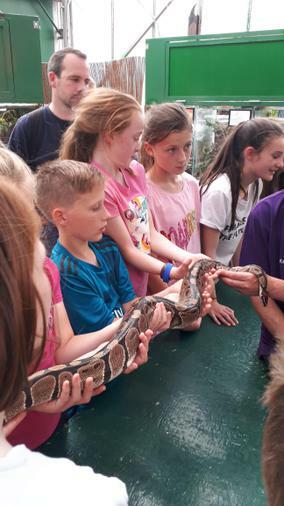 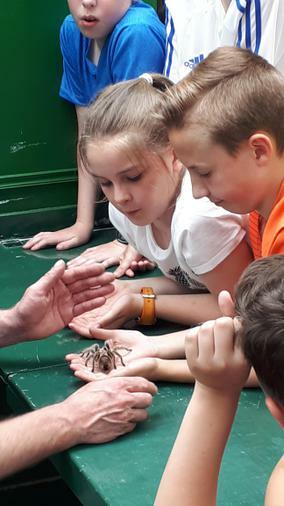 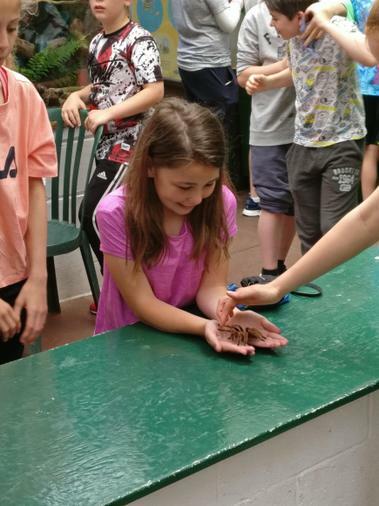 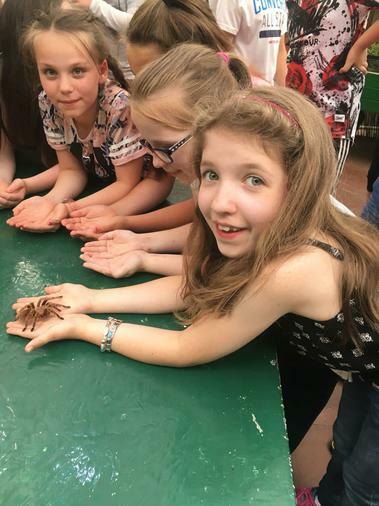 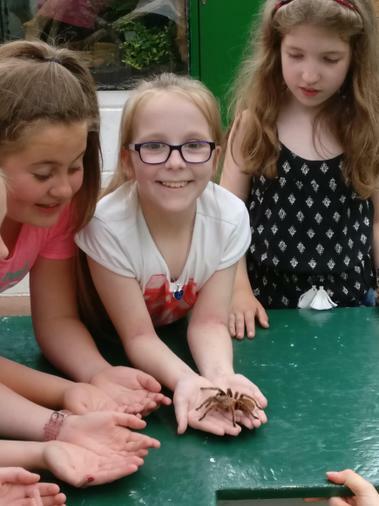 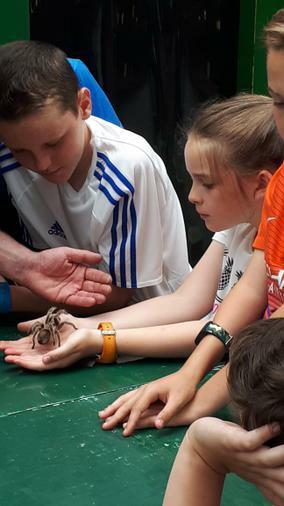 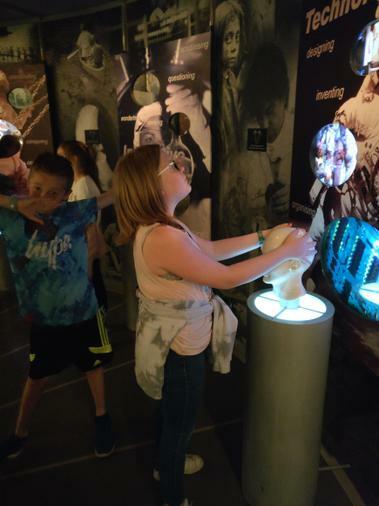 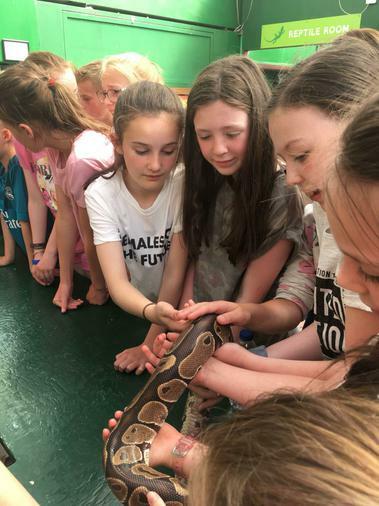 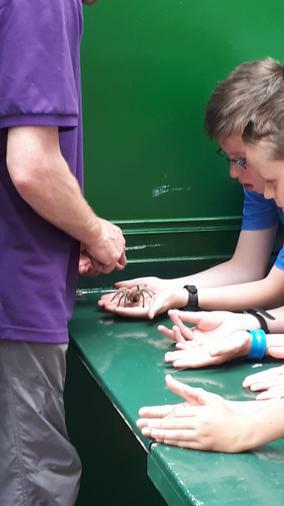 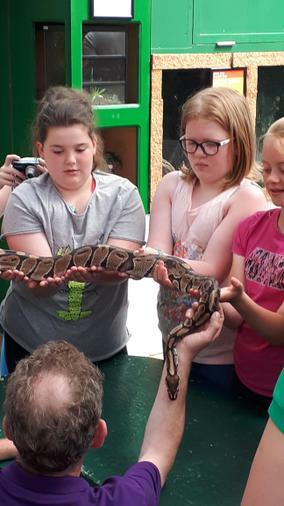 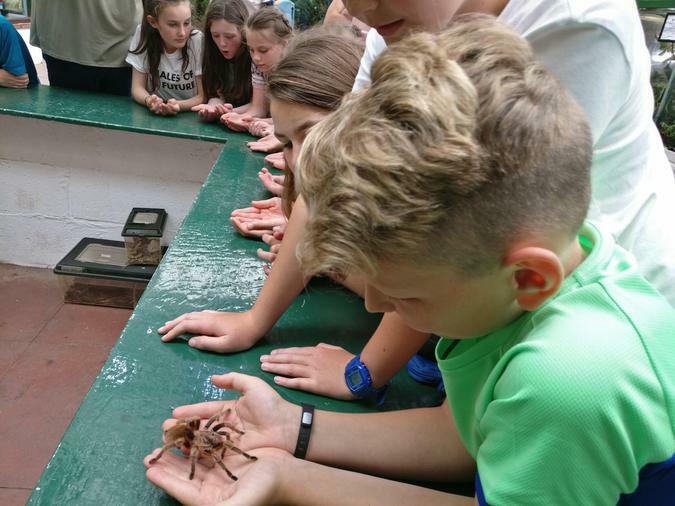 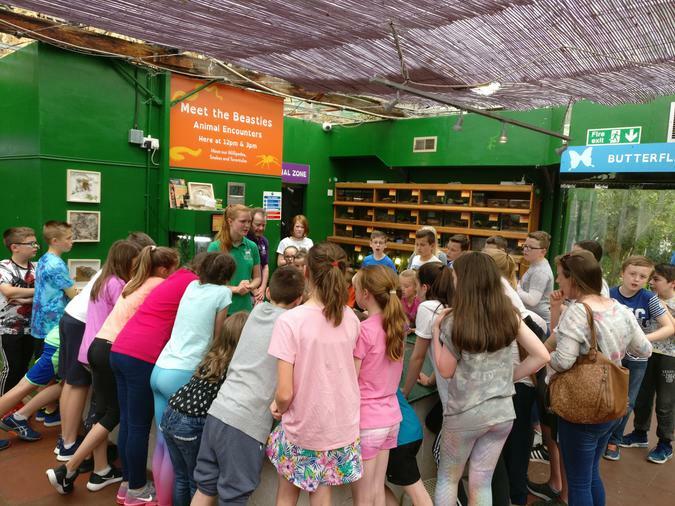 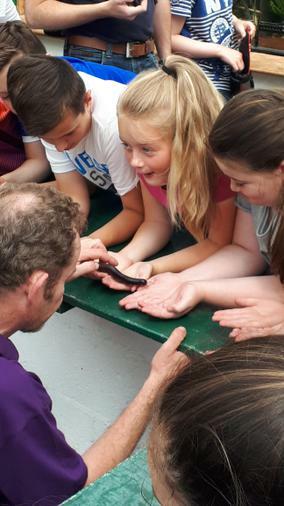 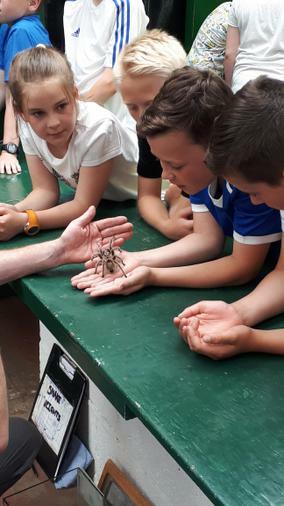 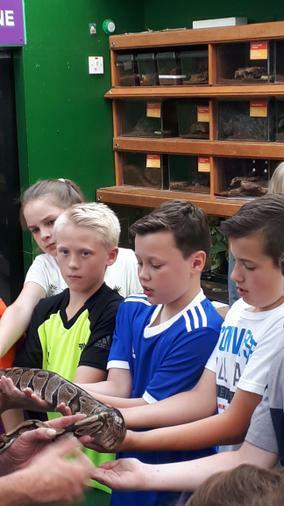 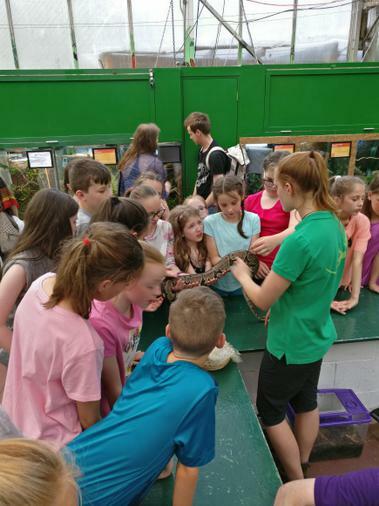 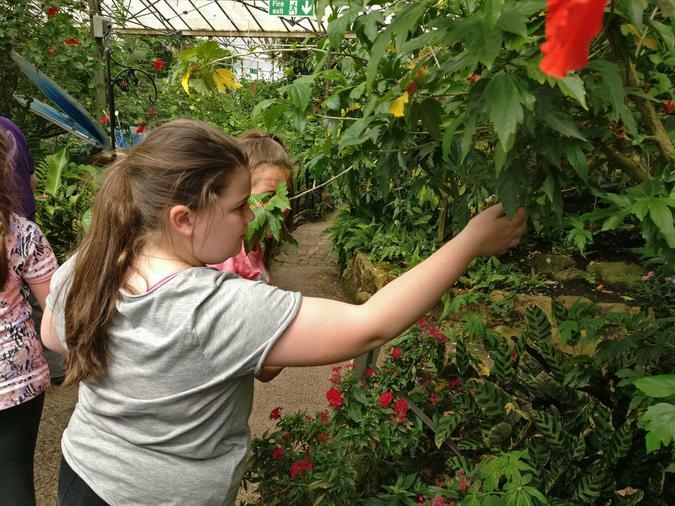 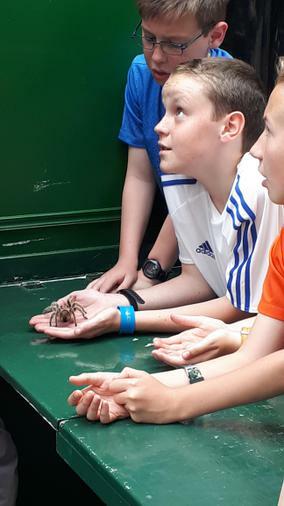 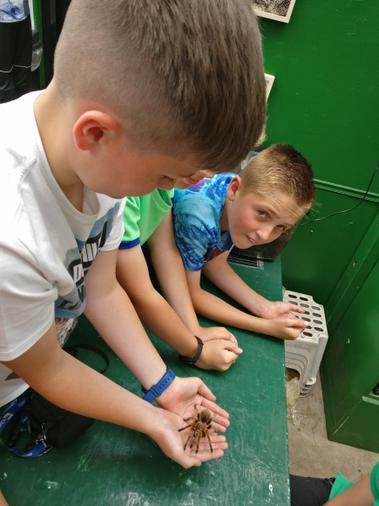 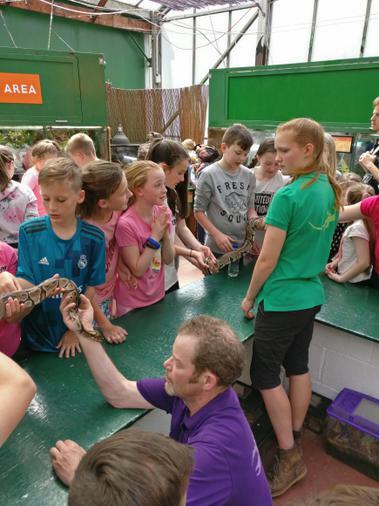 The children thoroughly enjoyed the experience and several conquered their fears and held all three creatures. 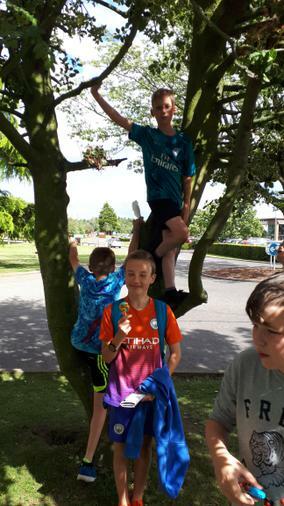 Despite the weather warnings the day turned out to be very pleasant so most of the kids bought an ice cream in the shop afterwards. 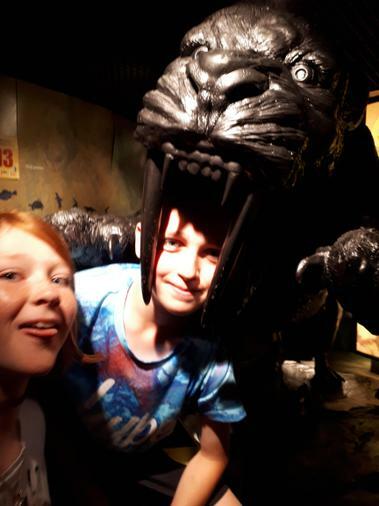 Back at the hotel we had time for a shower and dinner before a short trip to the local cinema to see Jurassic World. 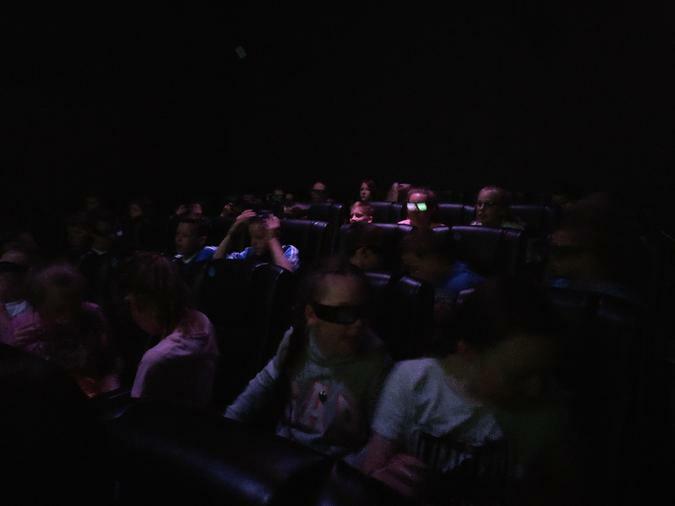 This turned out to be a very popular choice of movie. 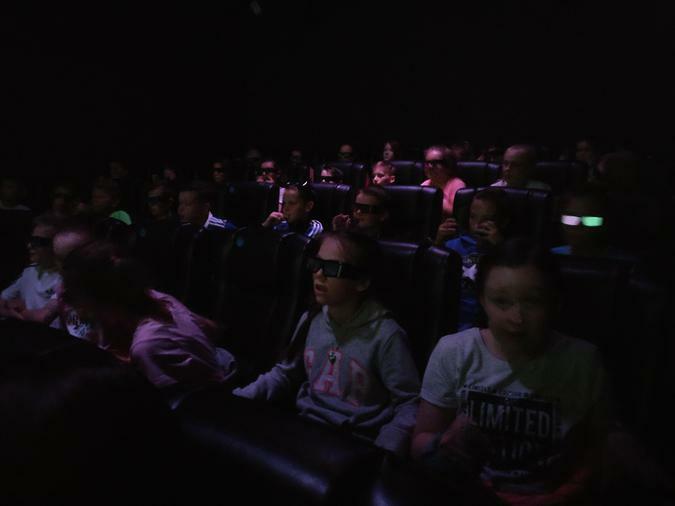 We received several compliments about our pupils’ manners and behaviour. 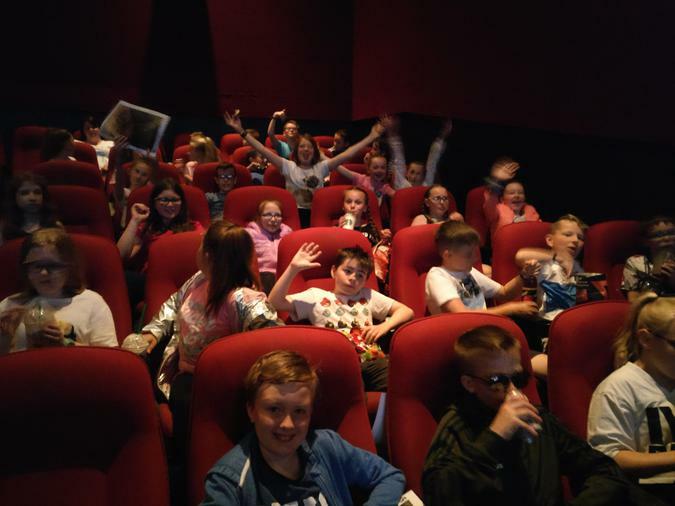 The movie finished at 10:00pm so when we returned to the hotel we did not have much time to pack for tomorrow and tidy up the bedrooms a bit. 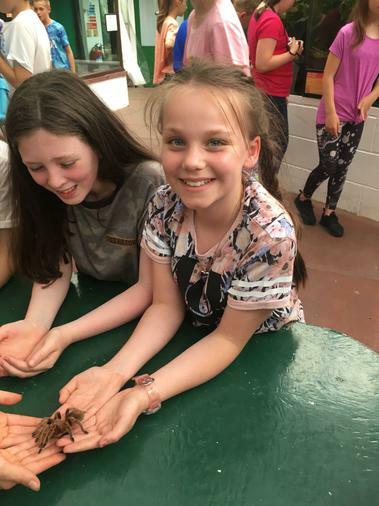 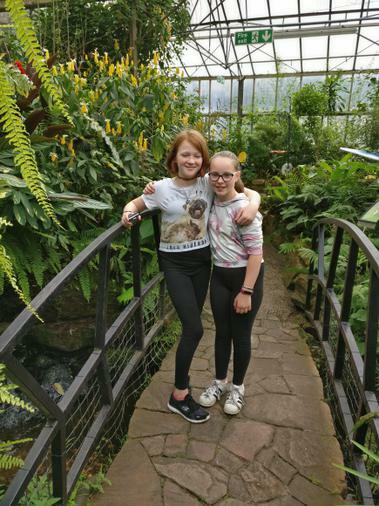 Everyone is fast asleep now, but they all went to bed very excited about Blair Drummond and shopping…oh yes and coming home too.